For more than 20 years, search engines have strived to take simple commands from users and translate that into valuable, complex information. Being able to navigate the sheer size of the internet and find what you need is nearly impossible without the use of search engines. As time has progressed, the components behind search engine algorithms have changed immensely. The role that keywords play in helping connect users with information has certainly changed over that time, but they remain far more important than many people realize. Today, let’s look at why keywords still matter – and likely will continue to matter for the foreseeable future. Arguably the most important reason why keywords still matter is that they provide search engines with valuable context. Over the years, Google, Bing and other search engines have developed increasingly intelligent bots and algorithms to assess the value of content. Much of this, however, is largely based on user behavior. Yet it’s difficult to measure meaning and definitions based on how users interact with context; only relevance can be ascertained. In order for search engines to first ensure that content is being ranked in the right SERPs, it must understand what those words featured in the context are actually conveying. As such, anybody pinging servers with written content or optimized metadata should understand the inherent value keywords still provide. Any brand that is attempting to break into one or more targeted SERPs can have trouble initially with visibility and reach. This is natural: more established competitors are naturally going to have an advantage across various niches. If your brand can keep its eye on the prize, however, and consistently publish content that will target the relevant users in question, then that situation will gradually begin to change. Keywords serve a purpose in that they consistently remind you exactly who you are targeting and how. Without these guides, your content might sway to and fro, failing to consistently aim for select niches. Especially for newer blogs and brands, an inconsistent content strategy can lead to failure. 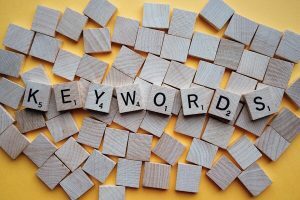 For websites offering their own products and services in particular, the usage of keywords can help slowly create a meaningful connection between various queries and the brand itself. Think to the time before the internet. Items described by phrases such as “Frigidaire” and “Band-aid” became the go-to descriptors for their products, achieving universal brand recognition. Within a particular niche, the proper use of keywords can build connotations within search engines that effectively treats your brand in a similar fashion. So, when people start pinging servers for a particular product type, they very well may see your brand in the number 1 spot due to those keyword associations built over time. Keywords have been in constant change since they first emerged via search engines. There’s a good chance that change will continue, and the notion of keywords – and the subtlety of how they’re used – will adapt. However, those who believe that the idea of keywords as a concept is dead simply do not understand the nature of search engines and how they use context and brand association to ensure proper rankings are maintained.